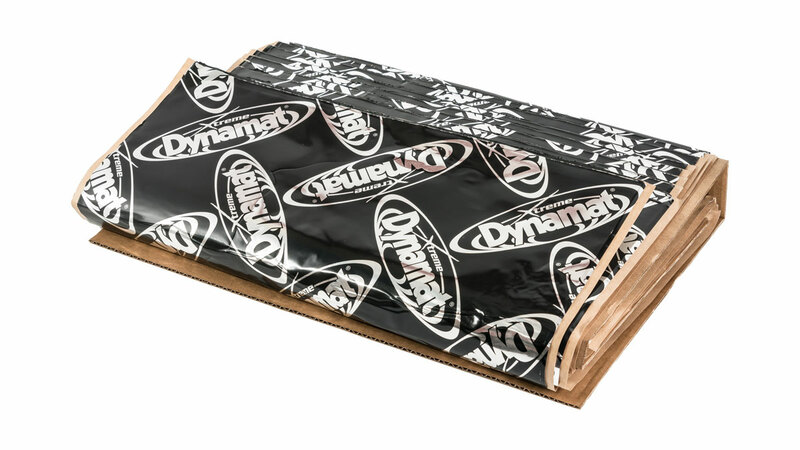 Reduce Noise and Vibrations with Dynamat! Dynamat is a name recognised the world over as a quality solution to noise and vibration; a fantastic solution when restoring classic cars to provide you with a more solid and quieter feel. Dynamat upgrades your vehicle like nothing else! 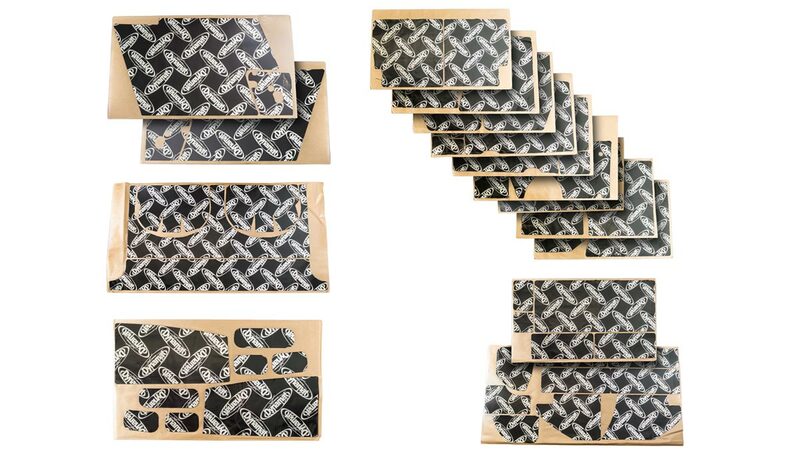 Installation is a simple peel and stick. Using Dynamat on your Healey will eliminate vibrations, rattles and squeaks so your driving experience is cool, comfortable, quiet and enjoyable. The Dynamat material can withstand temperature extremes between -54°C to +149°C (-65°F to +300°F) and is highly resistant to ageing. It does not absorb moisture and is not affected by oils so you can feel confident that your Dynamat will stay intact. High noise levels can cause driver fatigue and reduce your driving enjoyment. 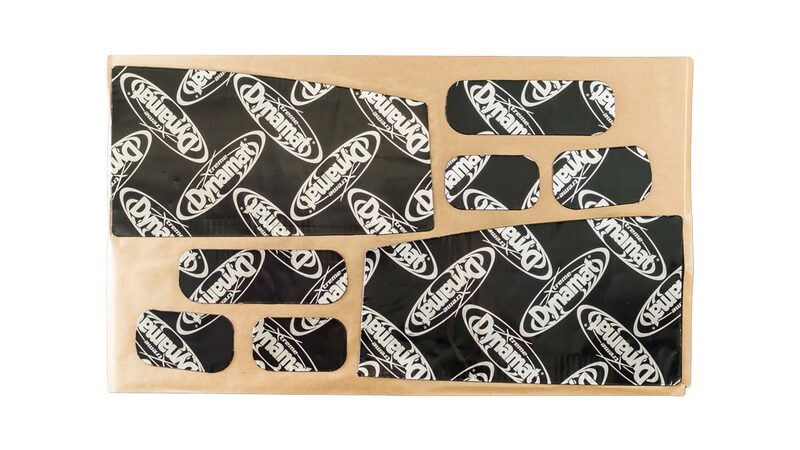 Fitting your Healey fitted with a Dynamat set will increase the comfort for you and your passengers. 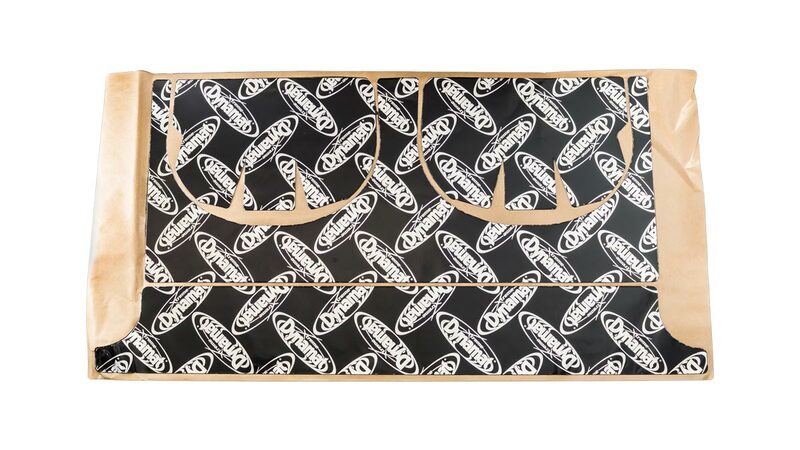 This is certainly the ultimate accessory to have as it is simple to cut and install, adhering to any surface. It will stretch and contour without tearing so everyone can experience the most effective sound control material available. 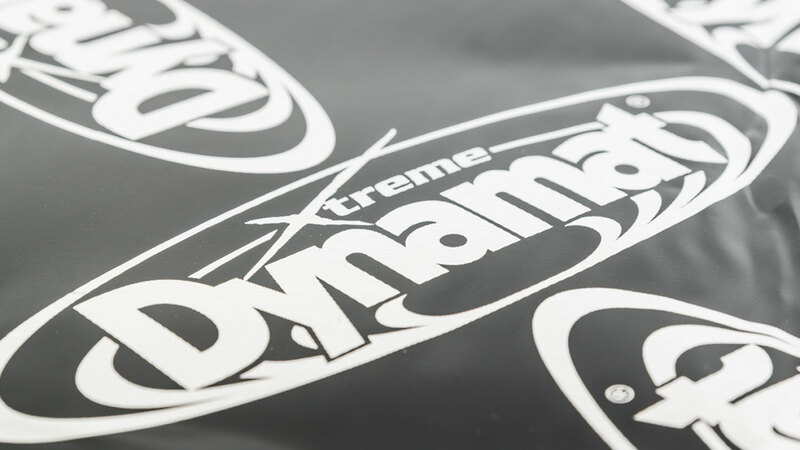 Install it today and experience the Dynamat difference! 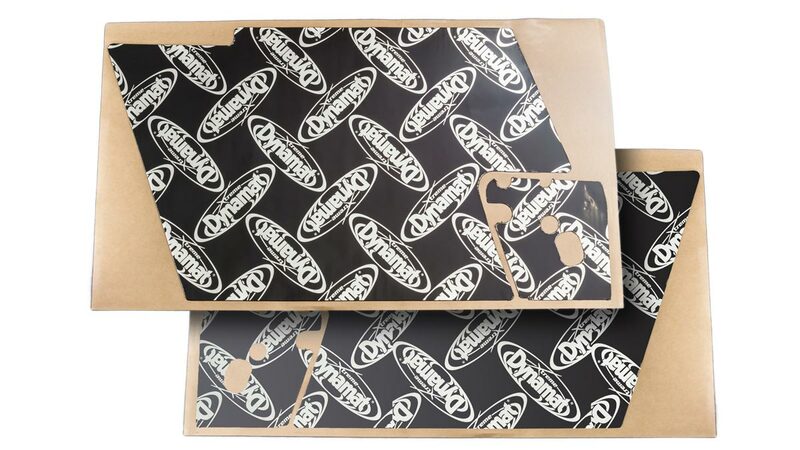 Our Austin Healey Dynamat kits come in pre-cut packs so you don't need to measure and cut to size. 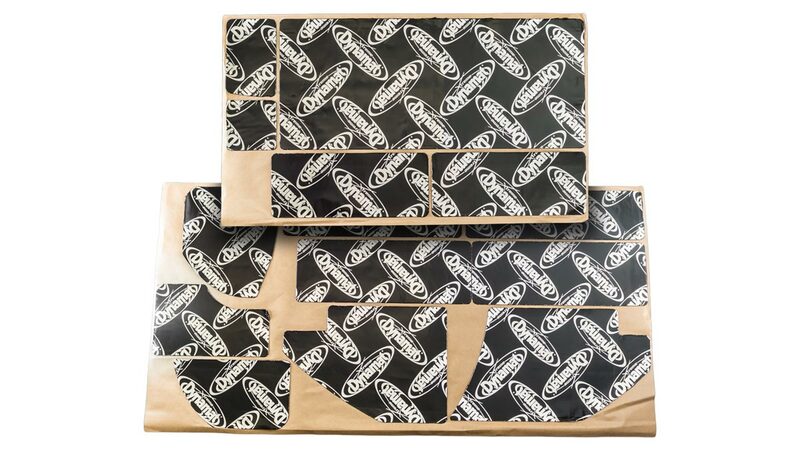 However, we also supply uncut Dynamat sheets in bulk if you prefer to customise your own fitting. 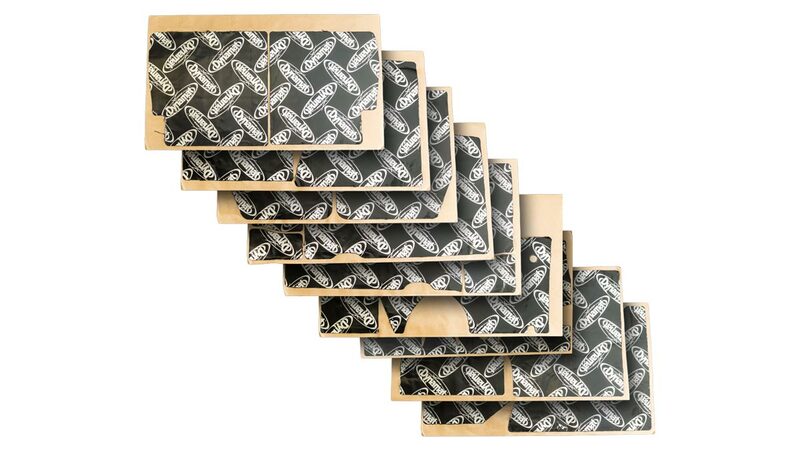 Shop online for your Austin-Healey spares.